I just signed my first large-scale PPC client and they have thousands of keywords which must be managed on a daily or weekly basis. Do you have any advice on a good management tool to simplify the process of adjusting bids across both Bing and Google? Right now, it's taking me hours just to adjust the bids directly from within the campaign interfaces. Answer: PPC management is an integral component of any multi-faceted SEO marketing campaign and, as you've pointed out, it can also become a huge daily time-drain if not strategized and approached effectively. 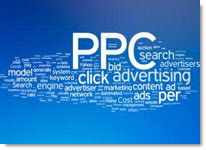 In fact, it used to be common for PPC managers to spend one-third of their day manually adjusting client campaigns. It should never take ANYONE several hours to adjust cross-platform bids on multiple client sites, much less just one. And that's what we are here for.